Our Purifying Soap is a deeply cleansing, refreshing soap to soothe the skin and stimulate the senses. With nourishing Hemp Seed oil and pure therapeutic essential oils of Rosemary, Tea Tree and Lavender. Ideally suited to troubled skin. 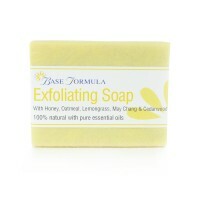 Our Purifying Soap is ideal for cleansing troubled skin without stripping it of its natural oils. 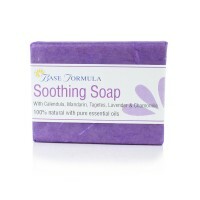 The soap’s refreshing, herbal aroma also has a revitalising effect on the mind and body. Hemp Seed Oil is rich in vitamins, minerals and essential fatty acids, and is one of the most nourishing oils for the skin. It is light, easily absorbed and non-pore blocking and can be helpful for soothing dry, irritated or inflamed skin conditions, including acne. Rosemary and Tea Tree essential oil are refreshing, antiseptic, antibacterial and anti-fungal and can help to restore and maintain healthy skin. Lavender essential oil soothes and calms and has a wonderful restorative effect on the mind, body and skin! 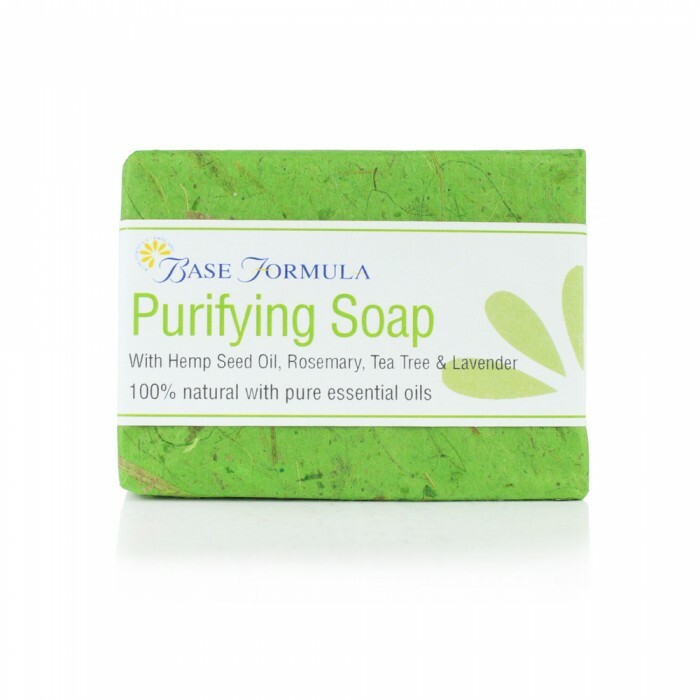 Our Purifying Soap with Hemp, Rosemary, Tea Tree & Lavender has a lovely herbal fragrance that is suitable for both men and women. It can be used on all skin types but is especially beneficial for problem skin conditions. Spot test first on sensitive skin.